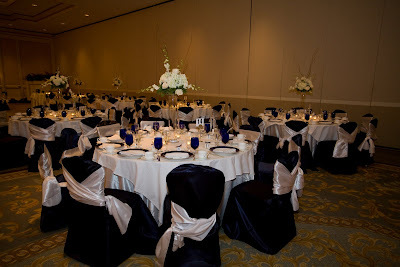 Here are some gorgeous shots of a wedding we did late last year. 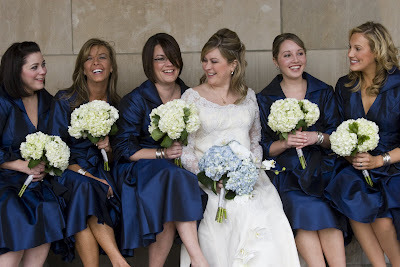 Mark and Shari (the bride and groom) had a vintage inspired look that they wanted to achieve. 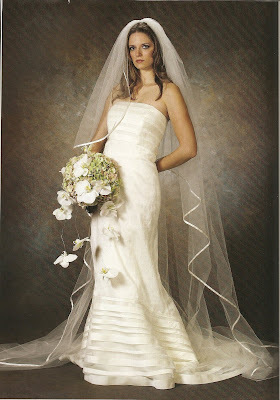 Below is a photo from the Spring/Summer 2008 issue of St. Louis Bride Magazine that was the starting point for the floral design. 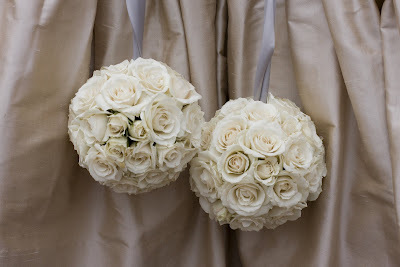 This was also the inspiration picture for the bridal bouquet. 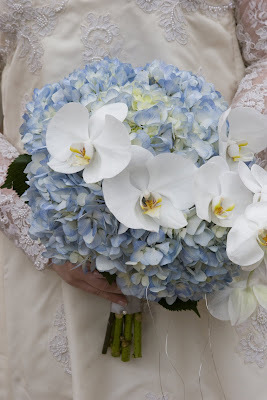 This was the bouquet we did for Shari that incorporated the hydrangea and hanging phaleonopsis orchids in her wedding colors. 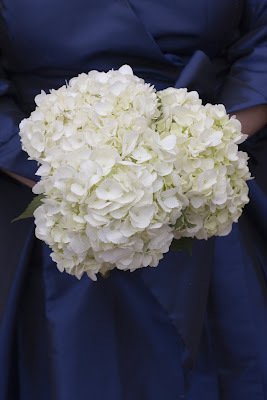 The bridesmaids carried a classic all white hydrangea bouquet. 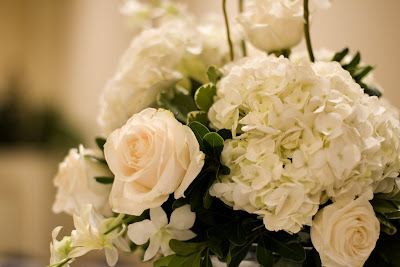 ……..white spray rose kissing balls. 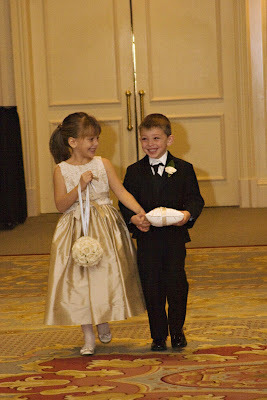 The ceremony and reception were both held at the Ritz Carlton in Clayton. 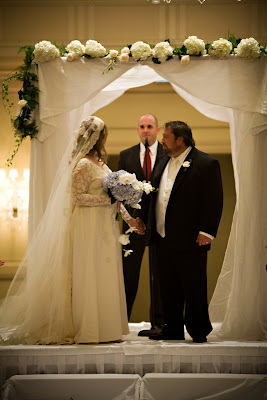 We provided the canopy and flowers for the ceremony room. 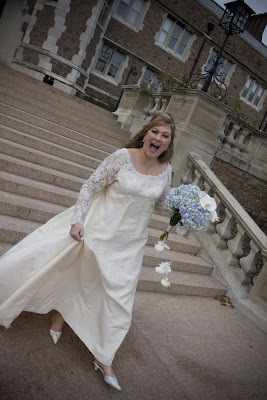 Shari’s vintage-looking gown and veil were beautiful. 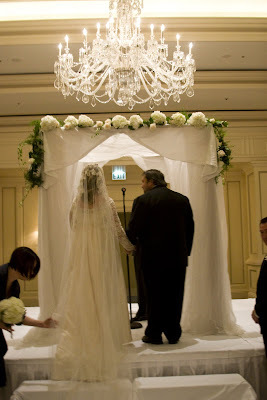 Up close shots of the canopy show how the structure frames the bride and groom and gives the ballroom a focal point. 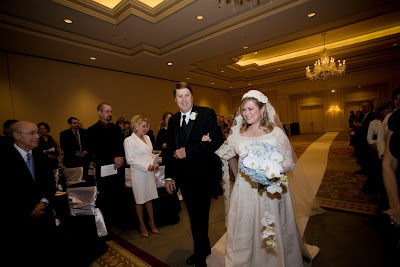 The garland dripping in white hydrangeas and roses was removed from the canopy after the ceremony and placed on the head table to be re-used! 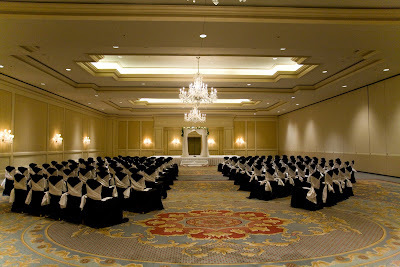 The reception was conveniently held in the ballroom next to the ceremony room. 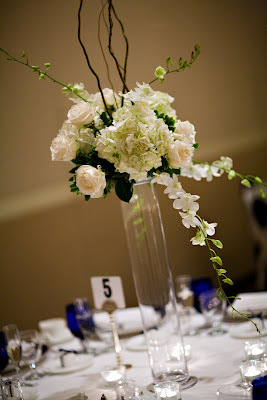 The same vintage inspired flowers were used throughout the reception for the centerpieces. 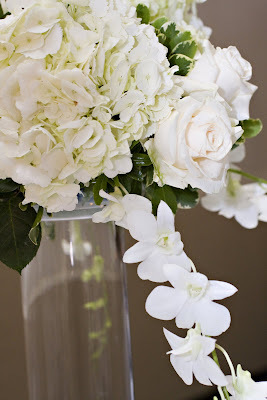 Each guest table had a tall, clear cylinder vase with a large, garden-y arrangement of all white hydrangeas, roses, and orchids with curly willow accents. 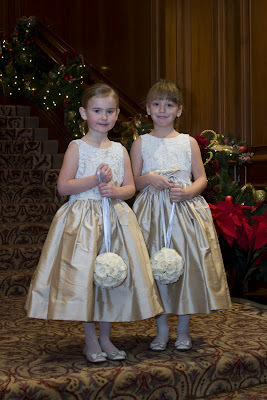 Special thanks to Lace for all the beautiful photos featured! All the best to the bride and groom who were a joy to work with! !